With the aim of preventing accidents, the City of Cozumel, through the Public Security and Traffic Directorate, in coordination with the State Police, carried out the “Breathalyzer Operation” at three important points on the island, where a total of 38 tests were carreid out, resulting in 10 positive cases of drivers with illegal levels of alcohol, who were detained, their vehicles seized and taken to the municipal impound.. 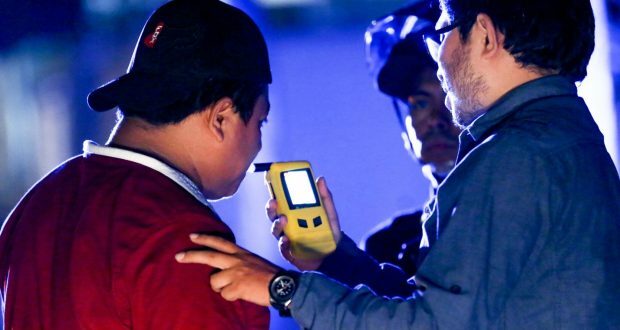 The Director of the police corporation, Guido Rosas López, informed that this operation was carried out for more than five hours, with the intervention of seven traffickers, a medical doctor, four elements of the tactical unit that provided perimeter security during the alcohol tests. , as well as two crane uni.ts for the transfer of the withheld vehicles.